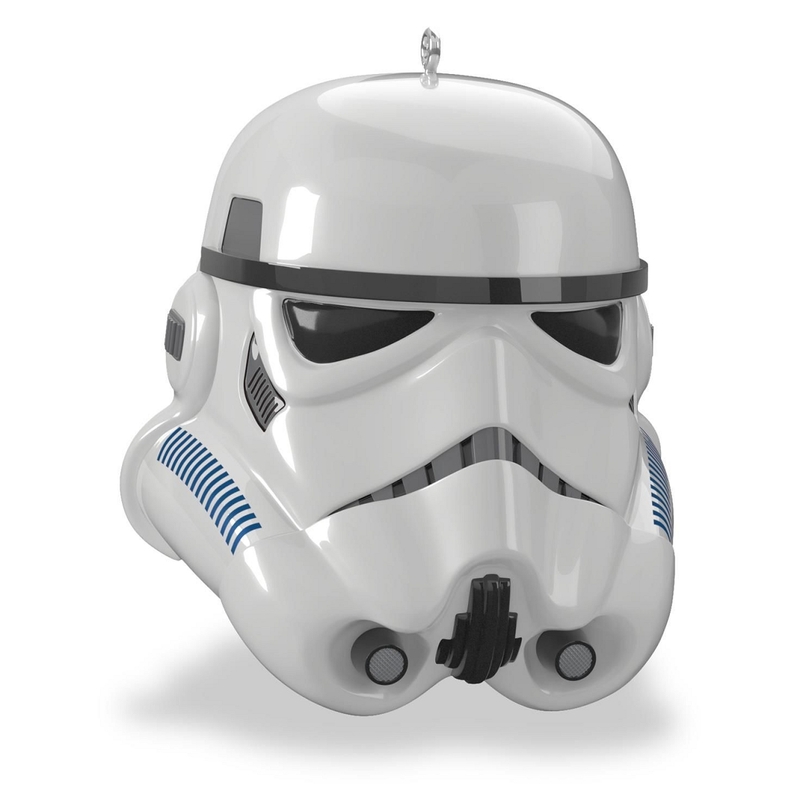 With their distinctive glossy white armor and helmet, the dreaded Imperial Stormtrooper strikes fear in the hearts of any who dare challenge the Galactic Empire. Press button to hear quotes from the beloved Star Wars films. Ornament is battery operated. 2 LR44 Batteries included. Size: 2.3" x 2.5" x 2.53"